It's finally here! iPhone 7 in RED from the Product|RED philanthropic foundation has been introduced by Apple in March 2017. And what a stunner it is. The Product (RED) Apple iPhone 7 and iPhone 7 Plus was introduced by Apple on March 21st 2017. Without much warning at all, The Apple online store was down for maintenance this morning, leaving many to wonder as to what mystery product would soon be available to purchase. And when it came back up, a new RED iPhone and a new iPad! Available on March 24 in 128GB and 256GB capacities (just like the Jet Black iPhone 7), the new color-scheme in RED is done in partnership with AIDS charity (RED), an organization Apple has collaborated with for over 10 years. Apple has made a bunch of special (RED) products in the past—everything from an iPod nano to an iPad case to an Apple Watch band. We love Apple for their generosity to the AIDS community and diversity in general, but we especially love that they put their money where their heart is an put it directly into their best selling global product, the iPhone 7 and iPhone 7 Plus. Bravo Apple. Could this product be co-timed to the 70th Anniversary of Elton John and his collaboration with Product RED in the past with Lady Gaga and other celebrities celebrating John's 70th Birthday at "RED Studios" in Los Angeles on March 26th? Just a guess?!! You may recall that rumors of a red iPhone kicked off back in December, when Japanese blog got insider information an Apple supplier. For those keeping score at home, Macotakara is now three for three, correctly predicting the rose gold, jet black, and now red iPhone color schemes. Guess it's hard to keep colors a secret! In addition to the new RED iPhone 7's, Apple also quietly launched a new powerful but less-expensive 9.7-inch iPad. This time they ditched the numbering sequences and it's called, quite simply - “iPad". Its a slight upgrade over the old iPad Air 2 adding a new A9 chip... but it's carefully NOT full of as many features as the iPad Pro. For example, you cannot use the Apple Pencil with the new 9.7-inch iPad. But who cares, at a starting price of just $329. That's cheaper than the iPad mini 4, and seems to take direct aim at the Chromebook industry. It seems like every student in American could have a new iPad at this price. Hmmmm... could this actually be squarely aimed at kids and the school marketplace which has not upgraded iPads since the iPad 2? On the software side, Apple just released iOS 10.3 today. As if that wasn’t enough, the company also announced a new app called “Clips” that will be out in April. From what we can gather, Clips is basically Apple’s version Snapchat types of features. It's closely integrated with Instagram, Snapchat and iMessage, but until it's launched we can't be fully sure what it does. 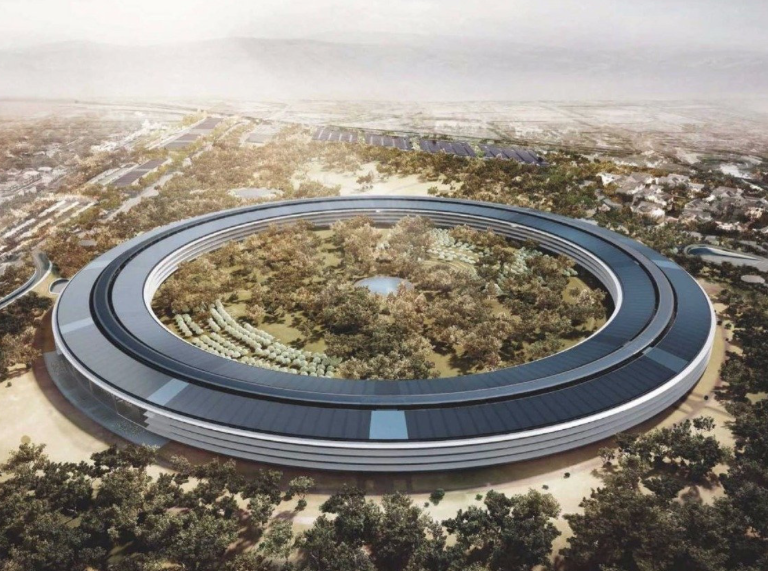 And of course, in April, Apple employees begin their move into Apple Park, the new campus for Apple design, engineering, and all things Apple in Cupertino California. 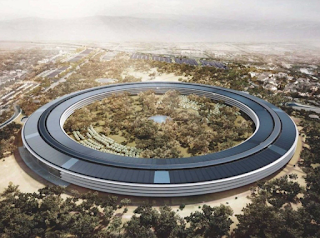 Right in the heart of Silicon Valley, this Steve Jobs visionary building cost Apple over $6 Billion to build and create. That's a LOT of iPhone sales, in any color, even Red. Of course, we would love to see even more Apple presence in Southern California, in Irvine or anywhere in Orange County. Besides the five (5) Apple Stores currently open in Orange County, great stores like RepairZoom and others service and repair iPhones and other Apple devices quickly and easily. It's one benefit of being close the the Apple mothership in California - and what a "mother-ship" it is. We just hope they offer tours of the new Apple Park campus. But knowing the secrecy at Apple around new products the highly competitive world of technology in Silicon Valley, we can't see Apple letting us inside for a look around anytime soon!